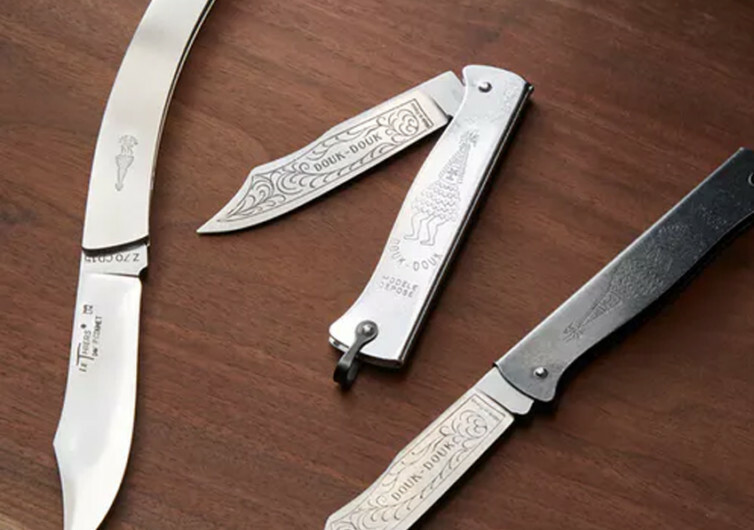 It may look like a very primitive folding knife from a Tahitian or another Pacific Islander, but the Douk-Douk Folder knife is actually steeped in history. 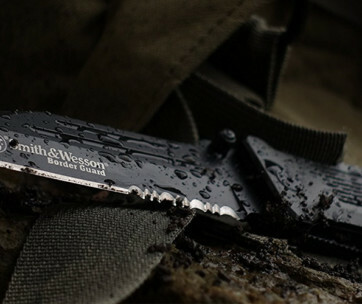 It’s the kind of folding knife that is so simple that it has yet to fail in its principal mission. 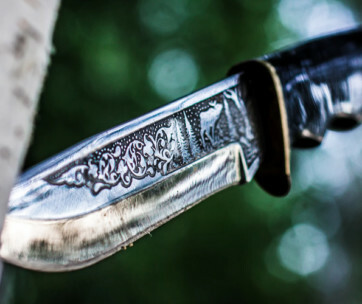 These are the knives that have helped carve the face of history wherever the French Foreign Legion has set their foot on. The Douk-Douk Folder is a very simple knife. It is void of a locking mechanism yet comes with a very strong spring giving it the ability to spring forth into action when needed and closed as easily. It was designed for the common man, an inexpensive yet fully utilitarian knife that French working men can easily use to accomplish their tasks. The beauty of the Douk-Douk is that it can be thrust into military service just as easily, having been the weapon of choice of FLN members in sowing terror in Algeria. The sheet metal handle can be expediently hammered to convert the folding slip joint knife into a fixed-blade dagger. True to its original 1929 design, the Douk-Douk still comes with a very simple yet effective construction. A very slim Ferro-blackened folded steel forms the handle of the Douk-Douk, the front of which is etched with the artwork of a Melanesian spirit incarnation or “douk-douk”. 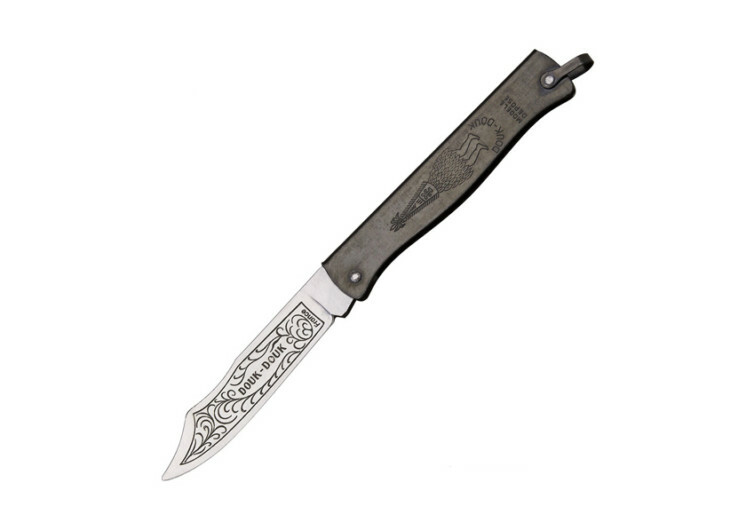 The 3-1/8 inch carbon steel blade features acid-engraved arabesques artwork and comes with a profile that is distinctly Turkish scimitar. The Douk-Douk is essentially the French equivalent to the German Mercator K55K and the Japanese Higonokami. 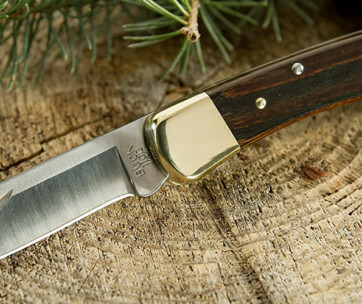 The Douk-Douk Folder knife may be a thing of the past, but it sure is still being produced by the very same company that has introduced the simple slip joint knife to the world in 1929. It’s a classic; that’s what it really is.